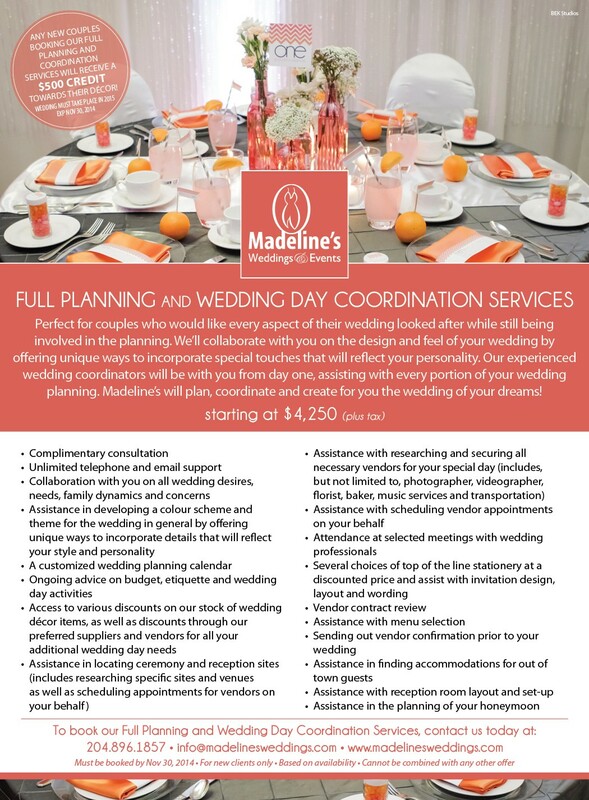 Madeline’s Weddings & Events is proud to feature our Full Planning and Wedding Day Coordination Services!! Perfect for couples who would like every aspect of their wedding looked after while still being involved in the planning. 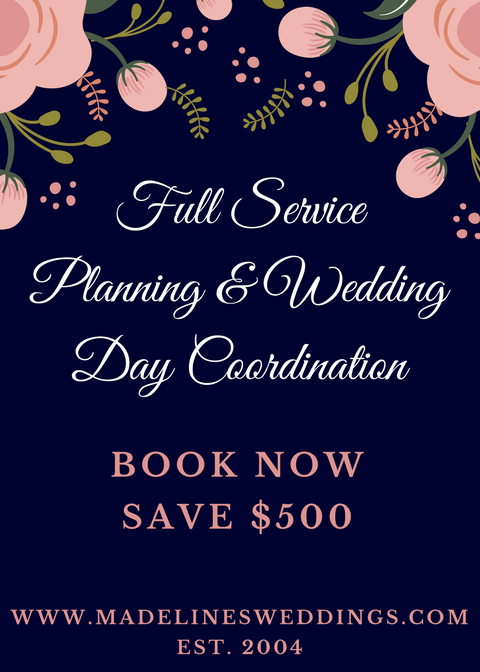 Madeline’s will plan, coordinate and create for you the wedding of your dreams! Take advantage of an EXCLUSIVE OFFER!! Any NEW couples booking our Full Planning and Wedding Day Coordination Services will receive a $500 CREDIT towards their décor, rentals and stationery! Contact us at info@madelinesweddings.com to see if we are still available for your date!